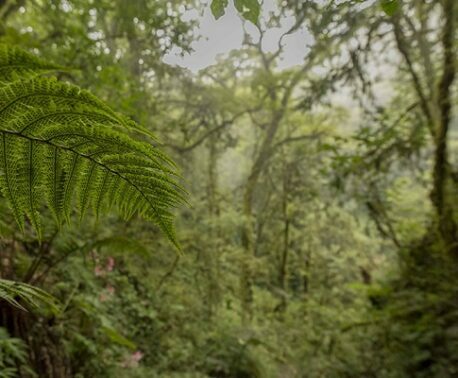 Working in partnership with Naturaleza y Cultura Ecuador (NCEcuador), World Land Trust (WLT) has funded consecutive land purchases in a successful strategy to save the threatened habitat of the Nangaritza valley in southern Ecuador. Recent land purchases to extend Nangaritza Reserve include 166 acres (67 hectares) saved in December 2015 and 316 acres (128 hectares) in May 2015. Taking a multi-track approach, WLT has raised funds to save these properties through a number of different programmes including Carbon Balanced and Buy an Acre. WLT’s Wild Spaces programme has also played a part. The Wild Spaces programme gives zoos, aquariums and their associations the opportunity to support conservation in the wild. As a result Chessington World of Adventures funded the purchase and protection of an additional 137 acres (55 hectares) through Chessington Conservation Fund in 2015. “The Nangaritza project shows very clearly the way in which WLT’s various programmes combine to excellent effect in terms of conservation outcomes,” said Roger Wilson, WLT’s Senior Conservationist. Since 2012 WLT has been working steadily with NCEcuador to fund the purchase and protection of properties in the River Nangaritza valley, a highly biodiverse watershed that protects some of the last native Amazonian foothill forests that are part of the Podocarpus El-Condor Biosphere Reserve. In addition these forests provide an ecological corridor between the ecosystems of the Andes in the Podocarpus National Park, those in the Condor mountain range and the Amazon rainforest. To the north of the Nangaritza valley nearly all the other areas of Amazonian foothill forests have been degraded as a result of agriculture and cattle grazing, logging and illegal mining. The reserve is situated in one of the last areas of these native forests and, without protection, would have almost certainly come under threat of exploitation from gold mining or cattle grazing. The expansion of the reserve fits into NCE’s regional conservation strategy to ensure the integrity of the Shaur indigenous community territories within the Nangaritza valley by providing help to establish community reserves. This purchase also complements a wider strategy to create an unbroken wildlife corridor between Nangaritza Reserve, community reserves and Podocarpus National Park. Kingsbury’s Rocket Frog. © Tropical Herping/ Alejandro Arteaga. 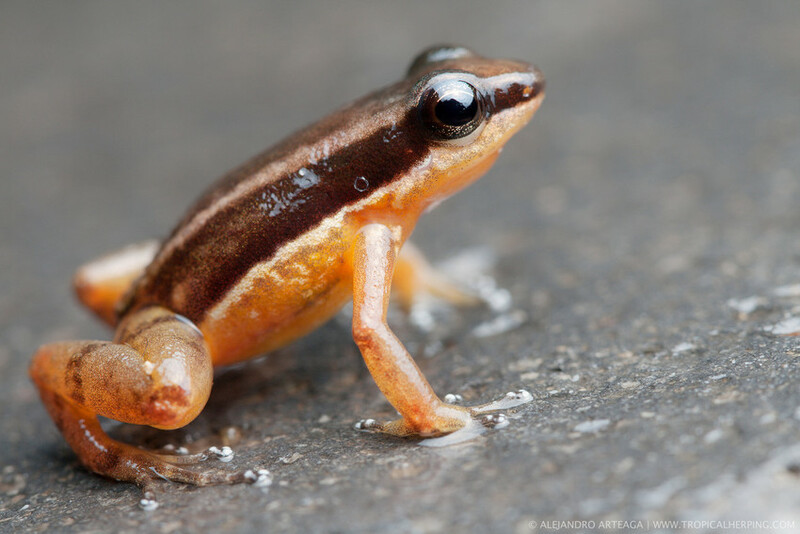 The valley has an abundance of frog and reptile species, many endemic, including a population of Kingsbury’s Rocket Frog (Allobates kingsburyi), making the area biologically distinct from the surrounding lowland amazon forests. 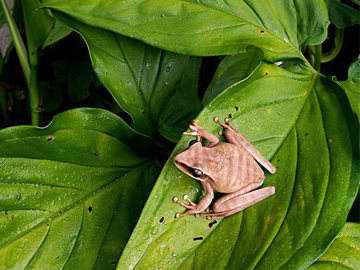 Other species recorded on the reserve include the Emerald Boa (Corallus batesii) and Fringe Tree Frog (Cruziohyla craspedopus), as well as the rare Atelopus frogs, the first of their kind in southern Ecuador. 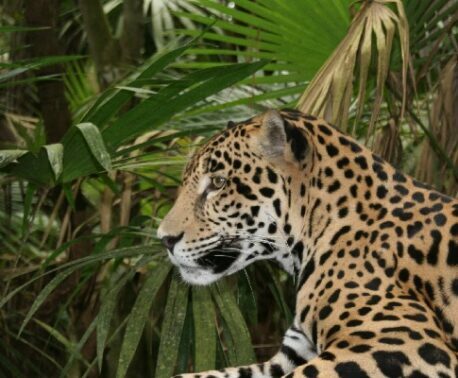 Mammals recorded include Jaguar (Panthera onca), Ocelot (Leopardus pardalis) and Spectacled Bear (Tremarctos ornatus). The property purchased in December 2015, brings the total area of Nangaritza now protected with the support of WLT to 2,664 acres (1,078 hectares). It is essential to raise funds to save the remaining properties in the valley now before they fall into the wrong hands or become prohibitively expensive. Improvements to roads and other infrastructure are pushing up land prices, and farmers and silica and gold miners are quick to buy up land when they see an opportunity. Fortunately NCEcuador staff have strong local links and are ready to act when they find out that properties are about to come on the market.